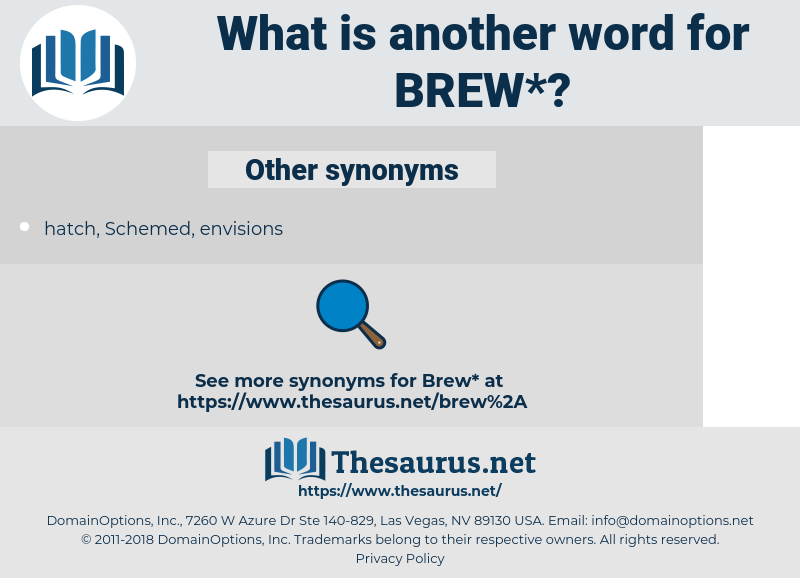 What is another word for brew? divide, stop, neglect, repress, ruin, separate, ignore, destroy, end. hold, pass, quiet, moderate, vanish. 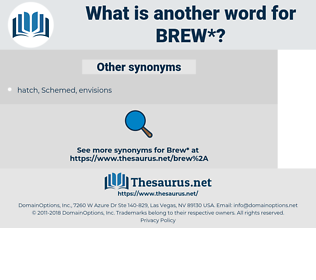 I had been early in the process of studying Willy then and had not had foresight enough to keep a sample of that brew. Capital soup this, Mrs Slee; capital brew! beer, kvass, mead, cassiri, spruce beer. alcohol, inebriant, intoxicant, alcoholic beverage, alcoholic drink. create from raw material, create from raw stuff.